A backpack allows you to easily organize and carry food, water, accessories, equipment and additional clothing. Therefore, it is required for all but the shortest hikes. However, not every backpack is suitable for every hike. For example, it doesn’t make sense to carry a very big backpack on short hikes as big backpacks are typically heavier than small backpacks. Furthermore, if a backpack is too big, it’s hard to stabilize items in it – they will move around and interfere with your balance on uneven terrain. 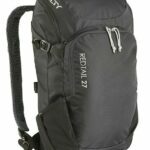 Here we selected the best daypacks with a capacity of 20 to 35 liters. Such daypacks are perfect for day hikes and often they can be also used for overnight hikes – depending on your gear (high-quality gear packs small) and conditions on the trail (weather, technical complexity etc.). 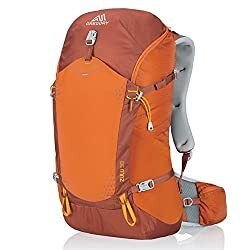 However, for spending more days (and nights) outdoors, you will need a bigger backpack; you can have a look at our selections of the best medium-sized hiking backpacks and best large hiking backpacks respectively. As it is very important that you pack your backpack properly for stability and balance, you might also want to check out the tips in our article How to pack a backpack. If your hikes typically only last a couple of hours, check out our selection of the best waist packs instead. We regularly update our reviews and selections to always recommend you the best products on the market. 1. 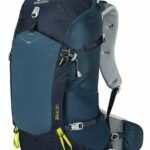 Buying a Daypack for Hiking – What is important? 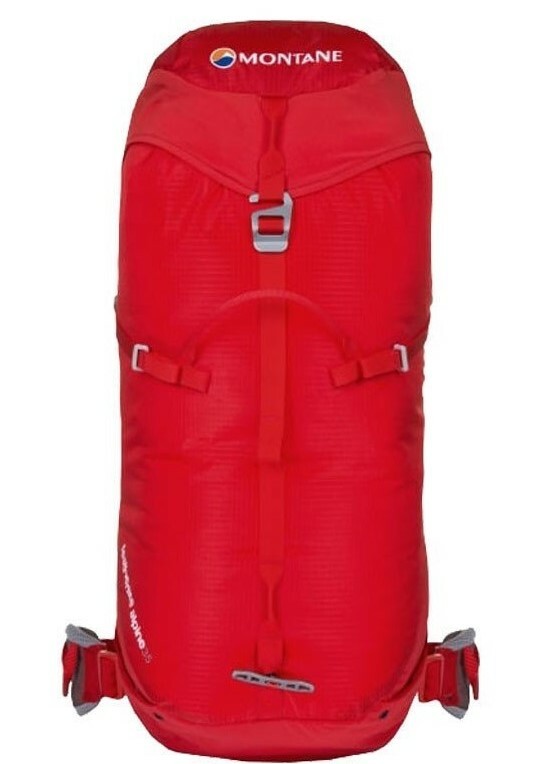 Most daypacks don’t have a frame because they are not designed for carrying very heavy loads. Frameless backpacks have a flexible construction and are much lighter than internal-frame or external-frame backpacks. 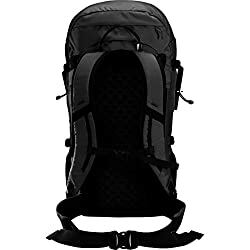 A backpack with a frame is, however, preferred for carrying heavy loads as it efficiently transfers the weight of the pack from your shoulders to your hips (via the hip belt). For more information about the different types of backpacks check out our Hiking Backpacks Guide. Daypacks are designed for day trips and typically have a capacity (volume) of less than 40 liters. For multiday trips they might be too small as sleeping equipment (sleeping bag, tent, sleeping pad etc.) takes up quite some space. Lightweight equipment decreases the aerobic demand (heart rate and calorie consumption) and thus allows you to hike faster and easier than with heavier gear. In this selection we only listed lightweight products. Read more about why it is important to use lightweight gear in our article Why hike lightweight. You can only keep your things organized if your pack has enough pockets and attachment points. Attachment points allow you to easily attach bulky gear such as trekking poles, ice axes etc. The backpanel should provide good ventilation, so that you won’t sweat additionally by having a synthetic daypack glued to your back. Therefore, high-quality daypacks have ventilated backpanels which typically use a suspended mesh fabric to create some distance between your back and the backpack. In this selection we only listed products with ventilated backpanels. High-quality daypacks differ from cheaper versions by not only being lighter, but also more durable. The durability depends on the quality of fabric, zippers, buckles etc. Daypacks are normally made of nylon of varying denier – the higher the denier, the more durable the fabric. However, keep in mind that a higher denier number results in a heavier fabric (and thus backpack). Therefore, hiking daypacks typically don’t use nylon of a denier higher than 210. Read more about denier here. A hydration system provides easy access to water – it eliminates the need to stop and mess around with water bottles. Hydration system compatible daypacks have an opening for the tube and a pocket or a sleeve for water reservoir. All products in this selection are hydration system compatible. To learn more about hydration bladders read our article Hydration Systems VS. Water Bottles. 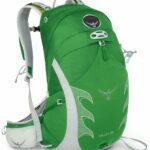 As daypacks usually don’t come with hydration systems, also check out our selection of the Best Hydration Bladders. We only list top-tier products. Read how our selections of best hiking products differ from others here. We use affiliate links and may receive a small commission on purchases at no extra cost to you. Weight 1 lb. 10 oz. 1 lb. 10 oz. 1 lb. 9 oz. 2 lbs. 6 oz. 2 lbs. 10 oz. 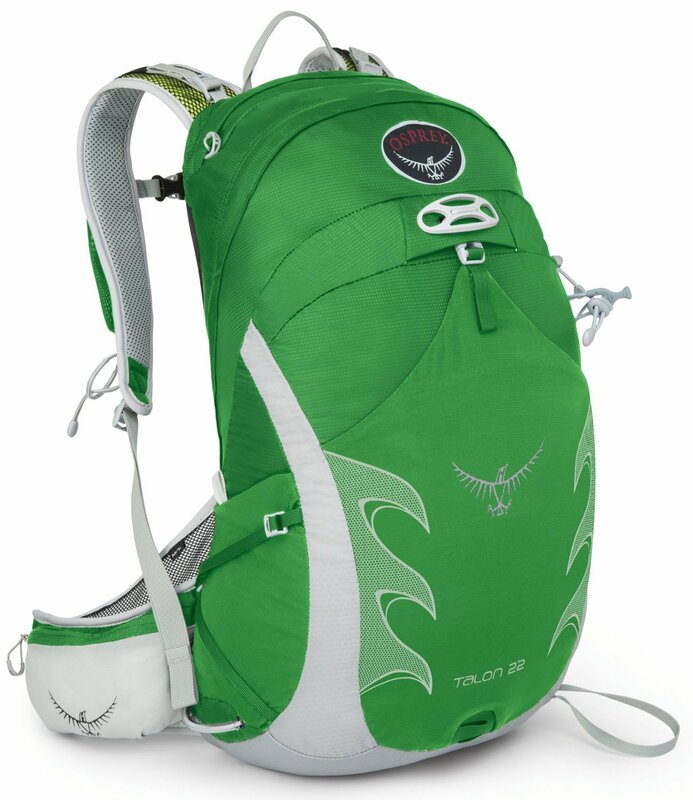 The Osprey Talon 22 is a very lightweight daypack (it weighs merely 750 g) and thus great for those who prefer lightweight hiking. It is equipped with the AirScape backpanel which is made of molded foam and covered with a suspended mesh fabric. Therefore, the backpanel provides superb ventilation. The main compartment is spacious and easily accessible (front–loading design). In addition to the main compartment, it has an inner zippered pocket, top zippered pocket, two zippered hip belt pockets, two mesh side pockets, shoulder strap pocket, front stash pocket and an external hydration sleeve. The hip belt pockets can be accessed without taking the daypack off first and therefore they come in handy for accessories like a GPS device, camera or a Smartphone. The side pockets are made of mesh fabric. They can be used for storing water bottles with a volume of up to 1 liter. The front stash pocket is designed for storing gear which you don’t want to put directly in the main compartment such as wet/sweaty clothes. As the hydration sleeve is placed between the main compartment and the backpanel it allows you to insert the water reservoir even if the daypack is fully loaded. This indeed comes in handy if you have to refill the water reservoir during the hike. Additional features of the Osprey Talon 22 are a LED light attachment clip, helmet holder, internal key attachment clip and trekking pole attachment system. Note: Women's version might slightly differ from the men's version. Share your opinion and help others! Do you have this product? Tell us what you think about it and help others decide what to buy! The Montane Featherlite 35 is slightly bigger (it has a volume of 35 liters) than the Osprey Talon 22 above. Nevertheless, it is even a couple of grams lighter – it weighs merely 748 grams. It is made of 100-denier ripstop Raptor Featherlite fabric which uses Robic filaments for increased strength. The fabric is also coated with polyurethane for better abrasion resistance and weather protection. The backpanel is padded and has air channels to ensure that the air can flow between the daypack and your back. Additionally, the Montane Featherlite 35 has a spacious main compartment, external top lid pocket and an internal security pocket. 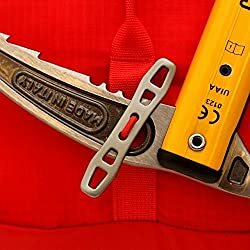 The external lid pocket has a zipper on the front side so that other hikers can easily open it and hand you over your gear. The Montane Featherlite 30 allows you to easily and securely attach trekking poles as it is equipped with compression straps and handy attachment points. The water reservoir is placed inside the main compartment. The daypack packs into its own lid so that you can use it as a secondary pack on multi-day hiking trips. The Montane Featherlite 35 ranks high in this selection because it’s super lightweight and thus perfect for mountaineering and lightweight hiking. 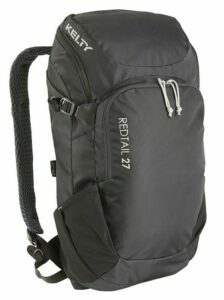 The Kelty Redtail 27 is super lightweight and thus perfect for fast ascents. It features a ventilated backpanel which provides good comfort. The main compartment uses a zipper and is very spacious. The Kelty daypack is furthermore equipped with two stretchy side pockets, large front organization pocket, one external zippered pocket and an internal hydration bladder sleeve. The organization pocket has many small pockets which allow you to easily organize your gear. The Kelty Redtail 27 also has compression straps, chest strap and a hip belt. The shoulder straps and hip belt are made of mesh fabric for good breathability. 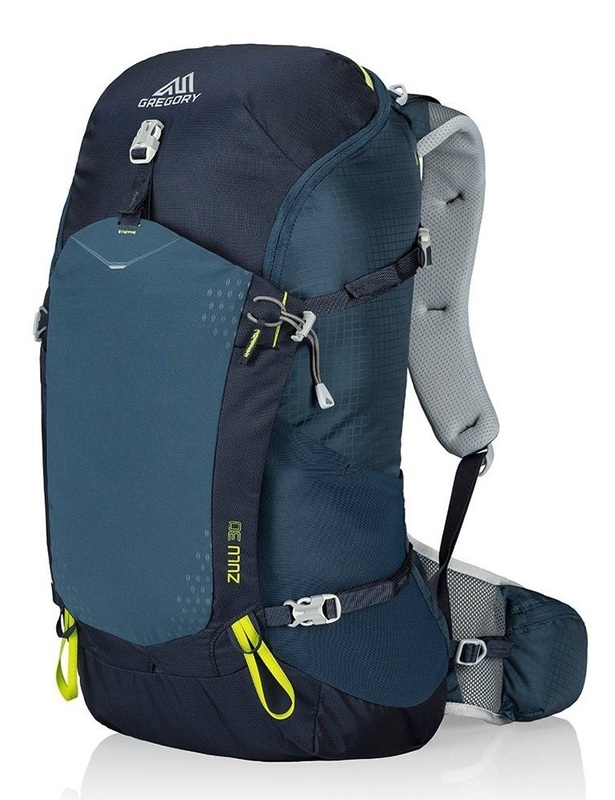 The Gregory Zulu 30 is a very spacious pack which differs from the products listed above by having a rigid construction (frame). Therefore, it is slightly heavier but on the other hand it also provides better support and can be efficiently used for carrying even heavy loads. It uses 210-denier nylon fabric and thus provides good abrasion resistance and durability. It features a ventilated backpanel (suspended mesh fabric), shoulder straps and hip belt. It also has a spacious main compartment, external top lid pocket, two hip belt pockets, two side pockets and a large front stash pocket. The Gregory Zulu 30 uses the so-called hybrid design (top-loading and zippered opening) and thus it provides very easy access to the main compartment. It has also compression straps and an internal hydration reservoir sleeve. 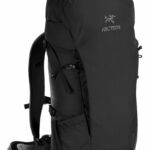 The Arcteryx Brize 32 is the largest daypack in this review and therefore a great option for those who need a spacious pack for hiking, trekking and other outdoor activities. It is made of sturdy nylon for abrasion-resistance and durability. The backpanel provides good ventilation while the shoulder straps and hip belt are padded for maximum comfort. The Arcteryx Brize 32 is equipped with a spacious main compartment, internal zippered pocket, top lid pocket, two side pockets for water bottles and a large zippered pocket on the front side. The hydration reservoir sleeve is located in the main compartment and the daypack has a tube opening at the top. It also has four compression straps and an attachment system for an ice axe. 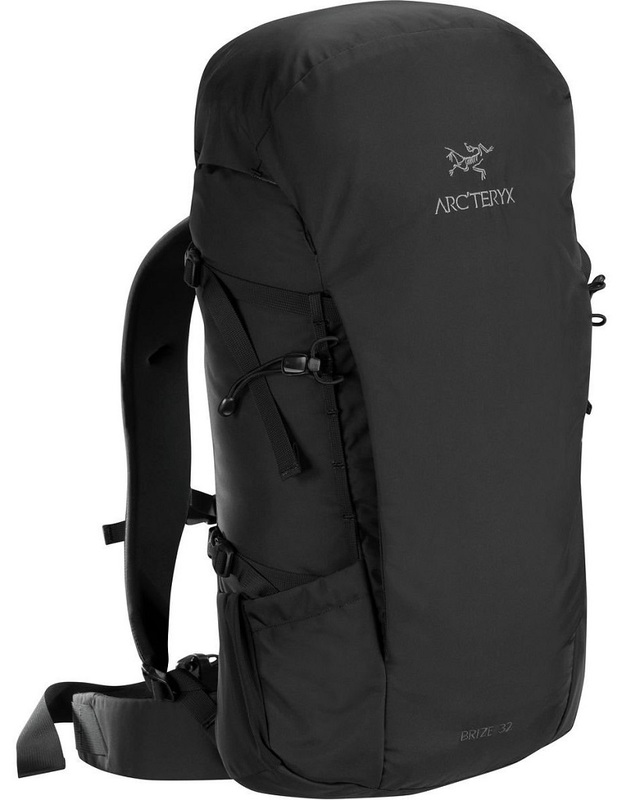 The Arcteryx Brize 32 has a semi-rigid construction for better weight distribution (heavy loads). Which product do you prefer?Cast your vote to see the results of this poll! 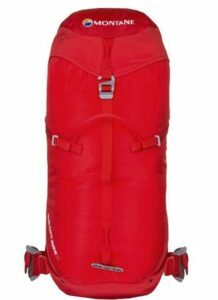 How big is a day pack? Daypacks typically have a volume of 20 to 35 liters. A daypack is best for day hikes but can also be used for overnight hikes if you have high-quality gear and clothing that packs very small. 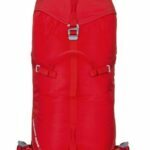 What is the difference between a daypack and a backpack? All daypacks are backpacks, but not all backpacks are daypacks. A daypack is a relatively small backpack that is best for adventures which last one day. 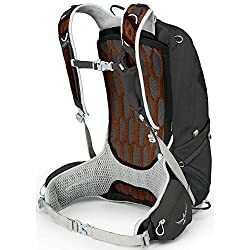 Do daypacks have a frame? Some daypacks do have a frame, but many don’t because a frame is only required if you are carrying a heavy load. A frame helps transfer the weight from your shoulders to the hips (hip belt), but also adds to the overall weight of the backpack in itself.